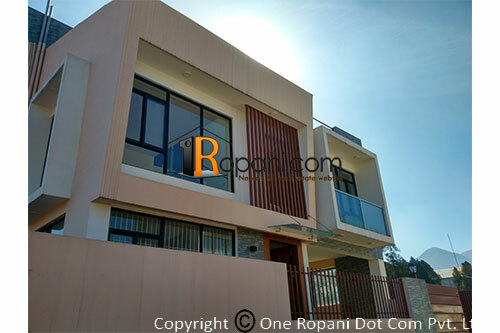 This beautiful modern designed bungalow situated in a prime and peaceful residential location Bhaisepati , Sainbu Colony, Lalitpur . The bungalow is made with beautiful interior, has staircase finishing with wood railing and parqueting. The property has total land 5 aana 1 paisa and built in area of 3 aana. It is facing towards south-east, with access road 20 ft wide pitched road. It has 5 bedrooms with attached bathrooms, 1 living room with big space, 1 kitchen plus dinning, 4 bathrooms, 1 store room. This 2.5 storied bungalow is surrounded by beautiful garden and has basement parking.